Work camping for the full time RV lifestyle! Home » Blog » Work camping for the full time RV lifestyle! 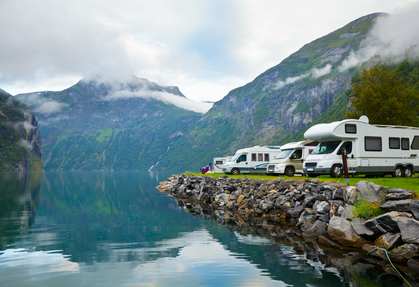 These are just a few of the typical jobs offered by RV campgrounds across the country. Some campgrounds may have more jobs to offer, although jobs may not be available at the time. Some of these jobs can be paid, and some work campers also just volunteer in exchange for free camping. Make sure to ask an employee of your favorite campground what kind of jobs and volunteer opportunities are available. Commitments vary, but most parks require that you give a three-month commitment when hiring you. Parks also often give preference to campers that can work a full season. Volunteer jobs can be more flexible, but again, most parks prefer that you commit to working a whole season. These tips may not be true for all parks, so make sure to ask of any opportunities you may be able to help with! Work camping can be fun and rewarding, and can promote feelings of community and identity.